On the water the right clothing is vital. 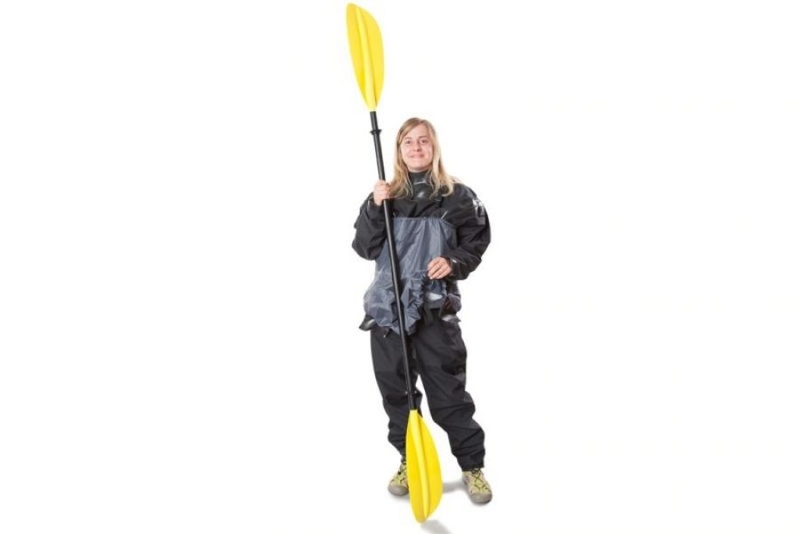 Generally you can manage with rain gear, but depending on the conditions, especially in cold water, the suitable dressing makes packrafting safer and more fun. 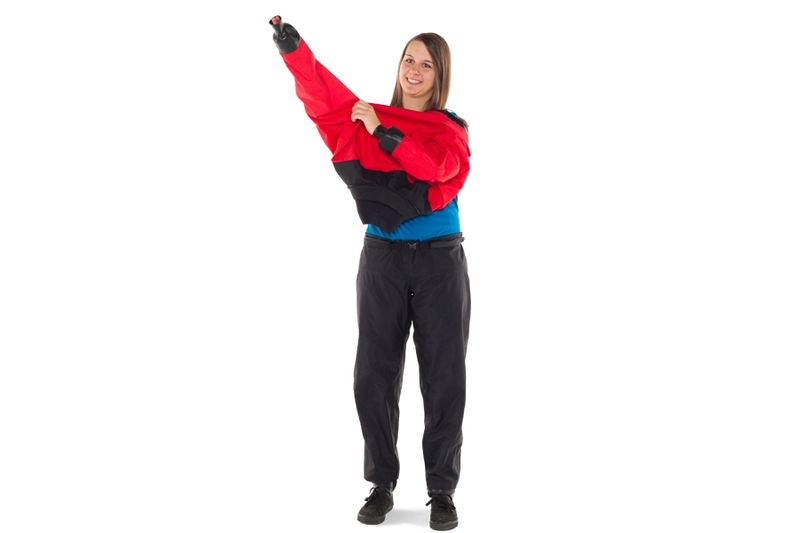 The Anfibio SplitSuit is a dry suit that can be separated into the upper and lower part. The pants can be worn individually. The overlap at the hip makes the suit very adaptable in movement. It remains 100% waterproof. Actively breathable drysuit made from 3-layer material. Light and compact, yet robust and fully waterproof. 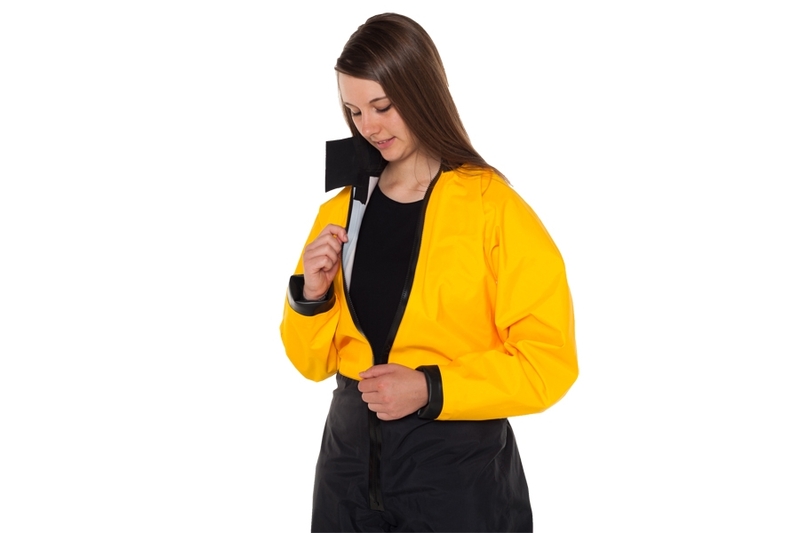 The Anfibio ZipSuit is a unisex dry suit in a jacket like style. 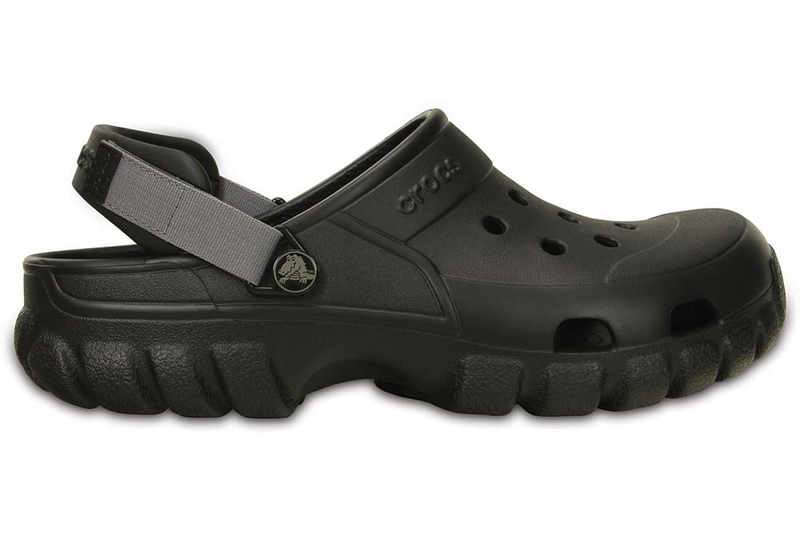 It is particularly lightweight, extremely packable, flexible to wear, fashionable and of course fully waterproof. Drysuit made from 2-layer material. Light and compact, yet robust and fully waterproof. 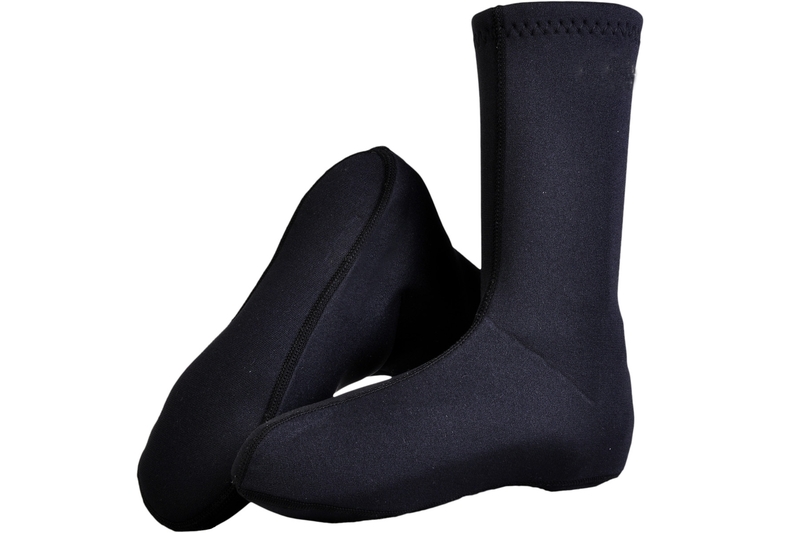 Actively breathable DryPants with waterproof latex socks. 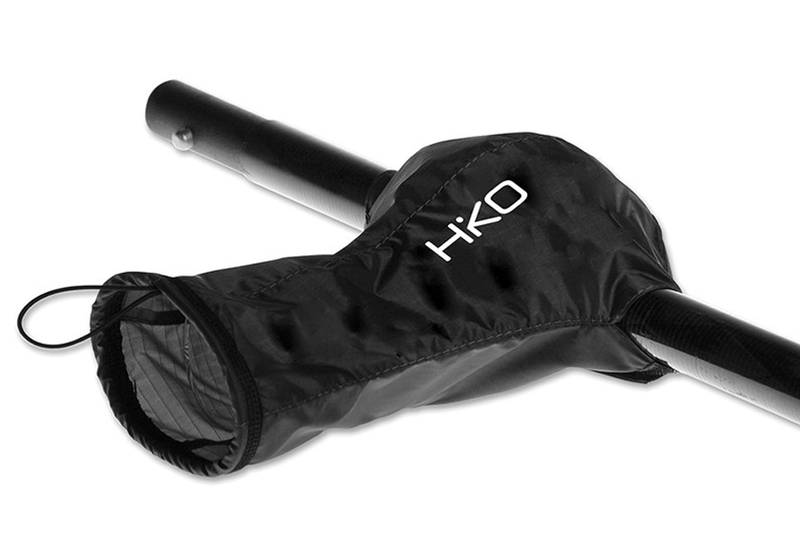 The perfect weather protection for packrafting and other adventures alike. 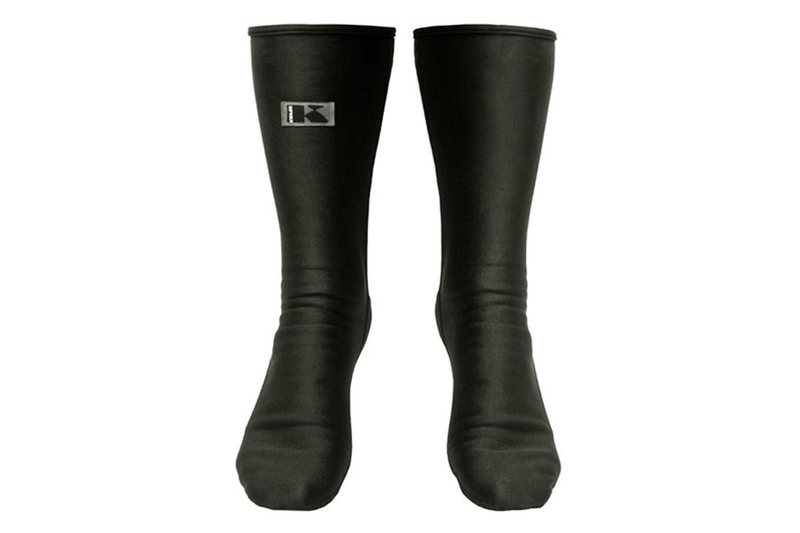 Its time to kiss goodbye to wet feet when boarding the boat! 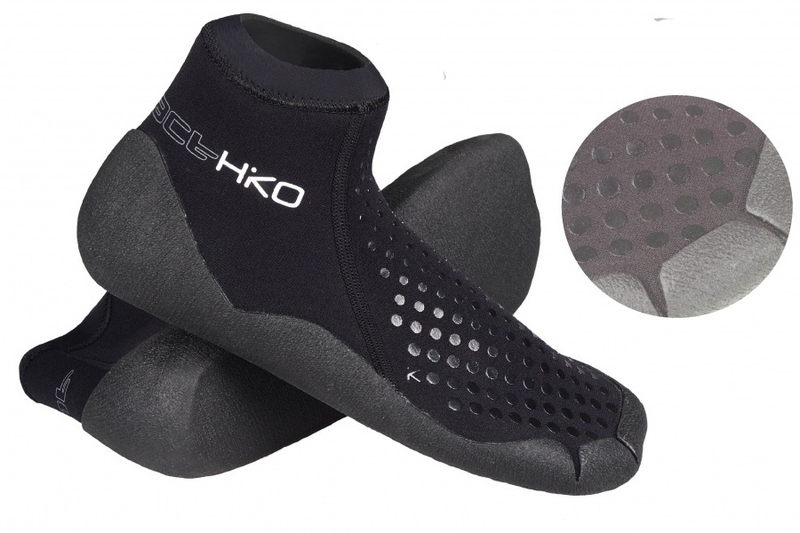 Multifunctional, breathable socks made of Windbloc / Aquashell material. 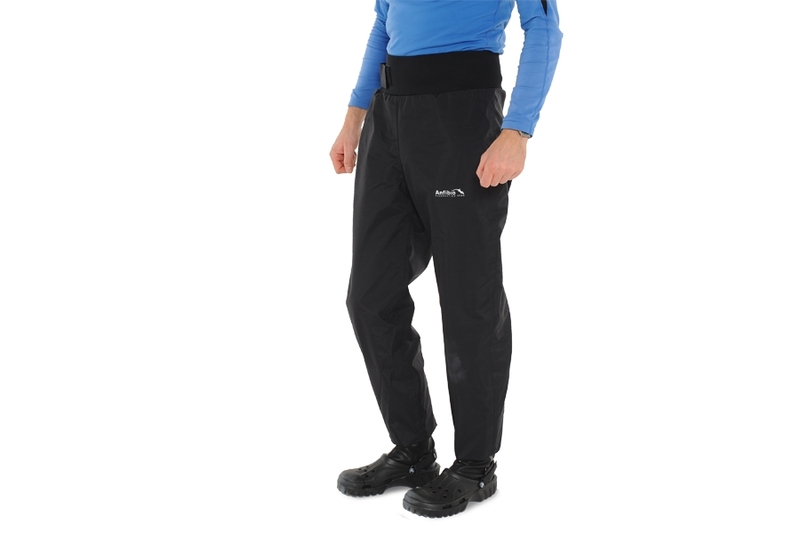 Can be used as water sports clothing as well as for skiing, cycling and diving. Excellent thermal performance in wet and dry conditions. 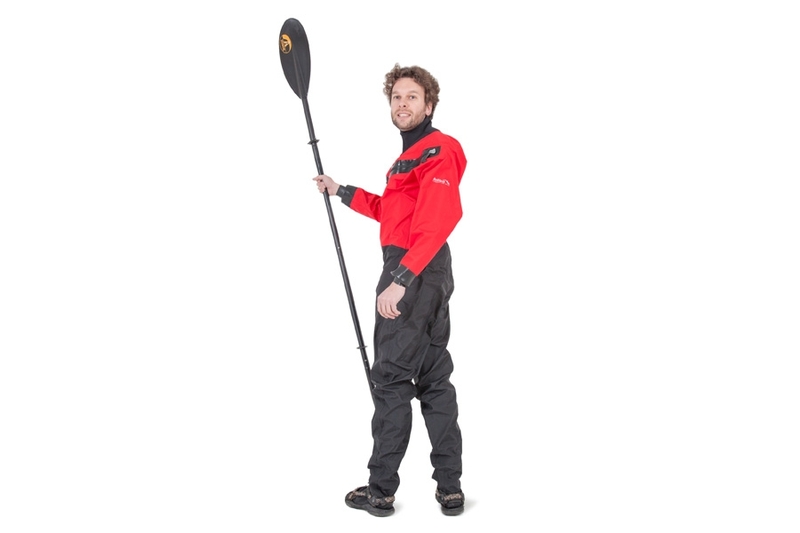 Our recommendation for packrafting footwear. 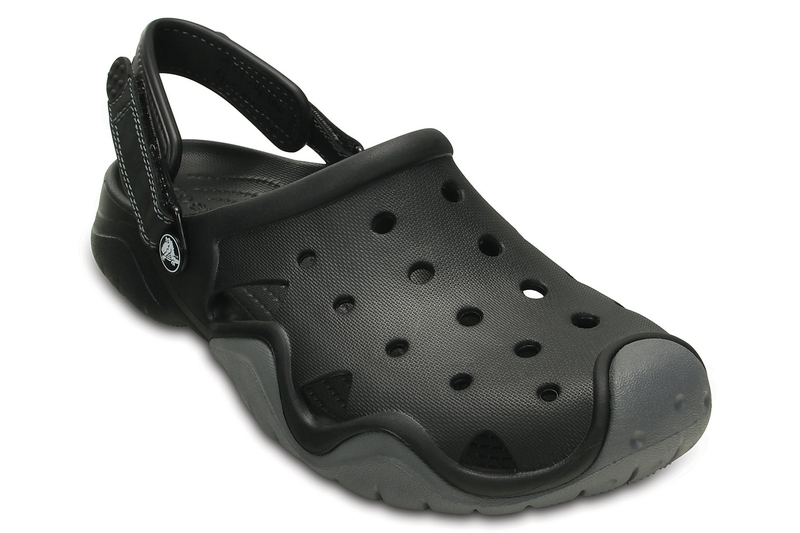 Light, non-absorbent and with a thickly treaded sole plus securing heel strap to ensure a steady step. Super light compromise of neoprene shoe and socks! 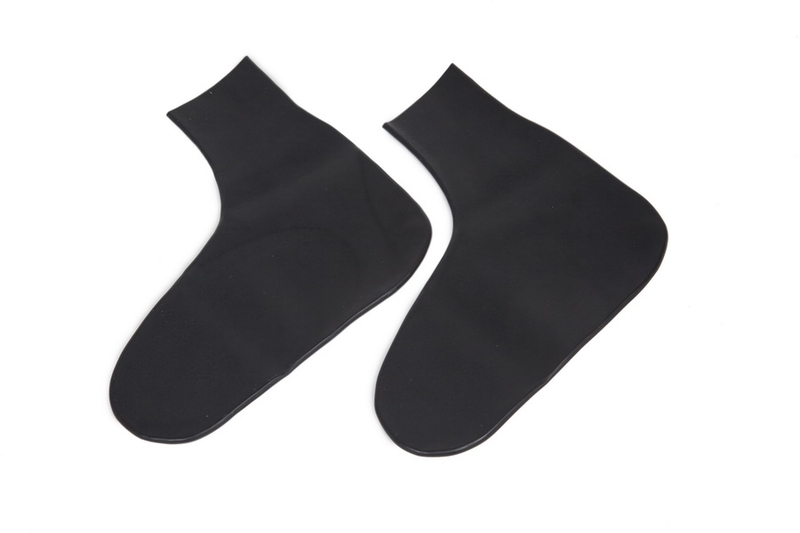 Light and compact as socks, abrasion resistant like shoes. Ideal for packrafts with a small footbox. Preshaped neopren glove gives good grip on the paddle and k eeps your hands warm. Very light paddle gloves with shaft integration (so-called poggies) for best grip and reliable protection against wind and water. Can be combined with other gloves, too. 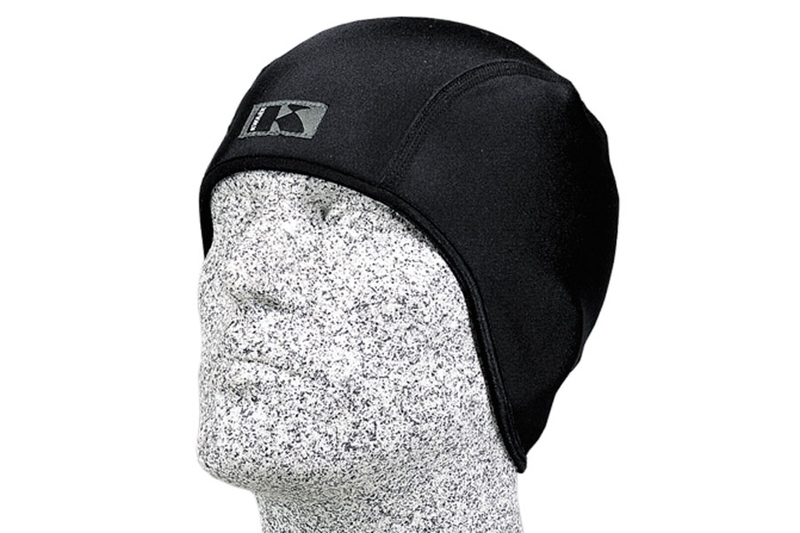 Beanie from PU-coated fleece. Warmth even when freezing. Cap prevent water soaking to ears and keep auditory system protected. Only 33g. Shorts from PU-coated fleece. 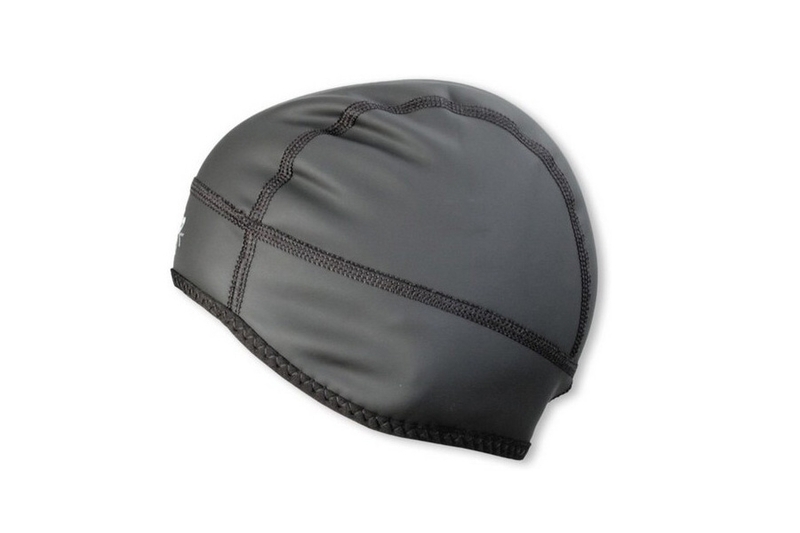 Much lighter than neoprene (only 223g), quicker drying and comfortable on the skin (fleece inside). Packrafters wet wear! 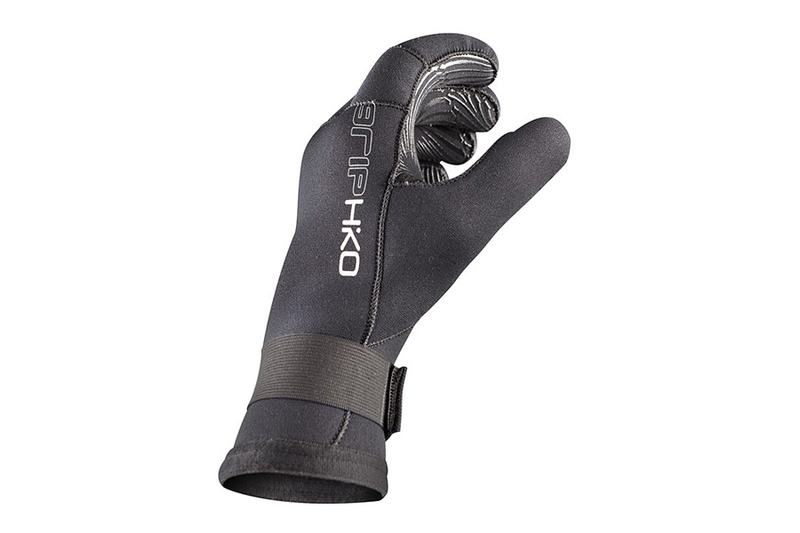 Made of just 2 mm thin neoprene these gloves are very elastic and allows a good touch to your paddle, just like with bare hands. Recommended for cool temperatures. 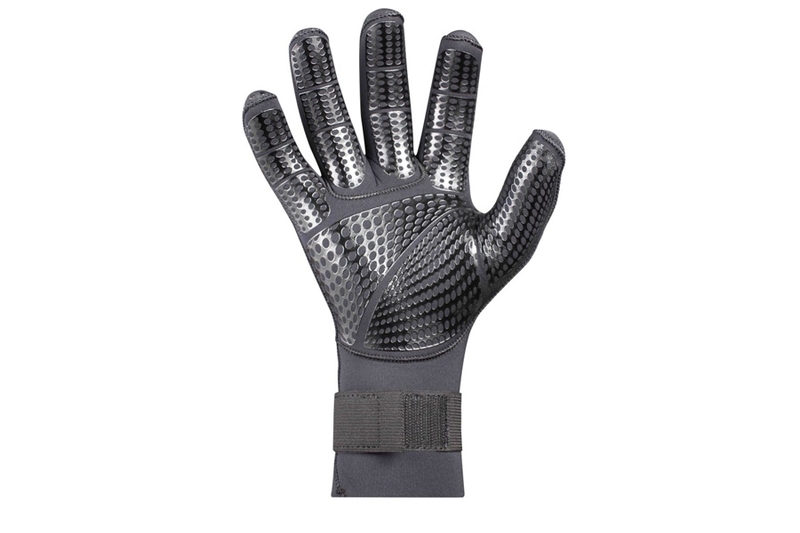 Look at the Grip Glove for real cold enviroments.